What is it for? 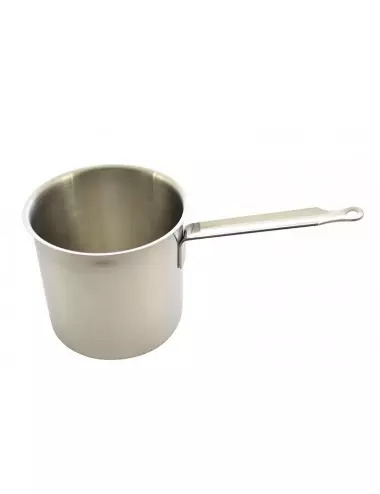 It is the cooking technic that gave its name to the saucepan suitable for this purpose. 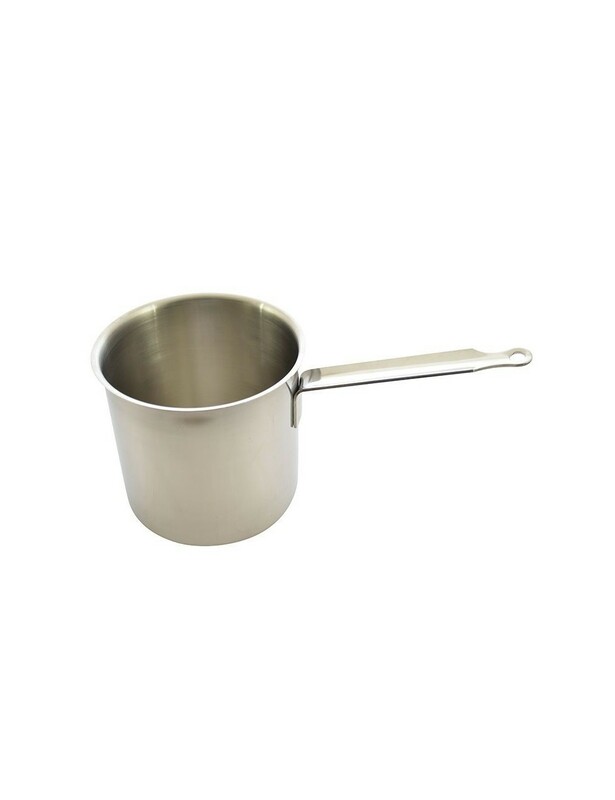 The bain marie is therefore a cylindrical top vessel with a handle. The simplest models are made to sit in a pot of water, But there are also specific models with a reservoir part and a cooking part. The bain marie maintains the temperature at 100 °C without ever putting the food in direct contact with the heat source. Slow, smooth and homogeneous, this cooking is suitable to melt chocolate, cook fragile foods - eggs, genoise ..., but also keep warm liquid like sauces, soups ... or baby bottles! Stainless steel bain-marie, stainless steel handle, without lid. For smooth and homogeneous cooking.